Daniel Cormier on UFC 230 fight: "The deal was so good. There was no way I could say no"
The preparation pertaining to UFC 230, has been quite the struggle. Mainly being that the UFC could not come to a decision on what the main event of the pay-per-view would be. But now, after going through various match ups and options, a fight has finally been made official. 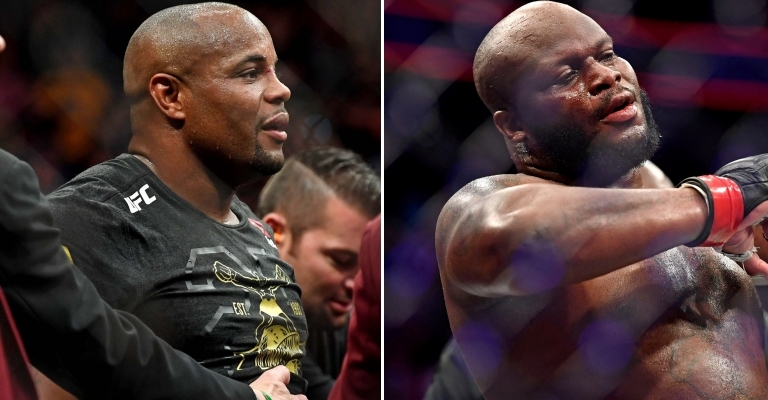 In a mind blowing shock, the new main event of UFC 230 will be featured in the heavyweight division as current champion Daniel Cormier will put his UFC heavyweight championship up for grabs against an opponent nobody would have ever thought of in the “The Black Beast” Derrick Lewis who defeated Alexander Volkov in a thrilling third round KO victory at UFC 229. When describing just how surprising this match up is, three reasons come to mind. The fight is only a month away. 2. Lewis just had a grueling fight and will probably have limited time to recover as far as training for this fight is concerned. 3rd and finally, Cormier is still recovering from a hand injury he sustained and was already preparing to face Brock Lesnar in early 2019. However, despite how the circumstances for how this fight came about, Cormier stated some deals are just too good pass on hence why he took this bout with Lewis for UFC 230 when he spoke to ESPN. “I DIDN’T THINK I WAS GOING TO FIGHT ON THIS CARD, BUT THE DEAL I GOT WAS SO GOOD. THERE WAS NO WAY I COULD SAY NO, HONESTLY. ESPECIALLY WITH A GUY LIKE DERRICK, WHO IS NOT KNOWN FOR THE BEST CARDIO. I’VE GOT TO START FAST AND HOPE I CAN PUSH HARDER THAN HIM, EVEN WITH A SHORT CAMP. COUNTING THE LEWIS FIGHT, I THINK I’M DOWN TO TWO FIGHTS LEFT. MAYBE THIS WILL BE A BLESSING IN DISGUISE, THE FACT THAT I DON’T HAVE A CRAZY, LONG FIGHT CAMP TO BEAT MYSELF DOWN. THAT MAY PROLONG IT FOR ME, BUT RIGHT NOW, I THINK I HAVE THIS ONE AND MAYBE ONE MORE. I CAN STILL FIGHT IN MARCH AND HIT MY RETIREMENT DATE. THE ONE OPPONENT THAT WOULD MATTER TO ME MOST IS JONES BECAUSE HE’S BEATEN ME TWICE. Cormier’s plan for the longest, has been to retire from MMA by his birthday in March when he turns 40. For him, he hoped this time period would give him the chance to have two more fights in the UFC, one being Lesnar, the other against his long nemesis Jon Jones in a trilogy bout. Obviously now those plans have changed, though it will be interesting to see how things will out turn out for the UFC double champion. One major question in the midst of all this, was why Cormier chose not to grant a rematch to the man he beat to become the UFC’s 2nd ever double champion and the former champion in Stipe Miocic? Cormier’s answer was plain and simple. “I WOULD NOT HAVE ACCEPTED A REMATCH AGAINST STIPE MIOCIC, HE’S TOO GOOD UNDER THESE CIRCUMSTANCES. I’M NOT SAYING DERRICK ISN’T GOOD, BUT STIPE IS CAPABLE OF BEATING ME IN DIFFERENT WAYS. HE DOES DIFFERENT THINGS WELL. I THINK IN THIS FIGHT, DERRICK HAS TO KNOCK ME OUT TO WIN.